Those with a preference for deep space and deep pockets are invited to make reservations for the world’s first ever luxury hotel in outer space, set to open in 2021. Travelling around the world, seeing it all, experiencing it all can leave much thirst for more. Some may even grow tired of ‘earthly’ offerings, so to speak. Fret not, humans are known to push boundaries and break barriers, but this time it involves witnessing 16 sunrises a day, floating in zero gravity and, well, being able to look at earth from space itself. 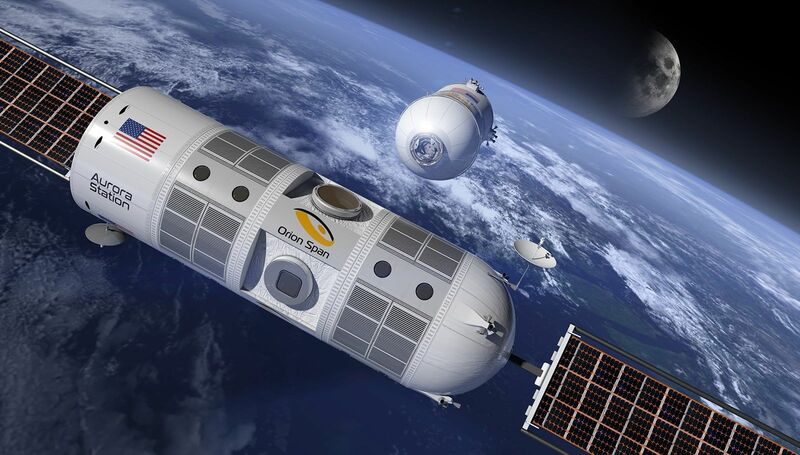 US-based space technology start-up Orion Span is set to open the world’s first luxury hotel in outer space in 2021, a year earlier than the 2022 date announced in April 2018. Just a couple of days ago, interior renderings of this literally out-of-this-world hotel, Aurora Station, were revealed for the first time. Photo: Courtesy of Orion Span. How much does it cost, you ask? Just an astronomical amount of $9.5 million dollars (approximately RM39,296,275). However, according to Bunger, Aurora Station would definitely make it worth your time and money. It is set to offer an authentic astronaut experience, and all it takes is three months of training regimen instead of the traditional 24-month timeline, at a fraction of the cost. Prior to going off on the trip, guests will have to complete a three-month Orion Span Astronaut Certification (OSAC) programme. This 12-day adventure trip will have travellers flying at a height of 200 miles above the Earth surface – in Low Earth Orbit, or LEP – and take in stunning views of our home planet. The hotel, on the other hand, will orbit Earth every 90 minutes, hence guests witnessing 16 sunrises and sunsets every 24 hours. Once on board, guests will be part of research experiments such as growing food while in orbit (which doubles as a souvenir), and a zero-gravity ping-pong with floating equipment, all of which are perhaps second to floating freely around the hotel and watching the northern and southern auroras from the windows. Worried that you won’t have access to your loved ones back home? Don’t worry; the hotel is equipped with high-speed WiFi, and once you’ve returned, a special hero’s welcome will be arranged. The Aurora Station will be around 12 feet wide and 35 feet long, similar to a large private jet. It also comes with customisable and private sleeping pods, fine space food and luxury design details. Just when you think nothing else will amaze you, think about this: after Aurora Station is launched, Orion Span will be looking at launching the world’s first outer space condominiums. What do you say? Think it’s time for a new address?